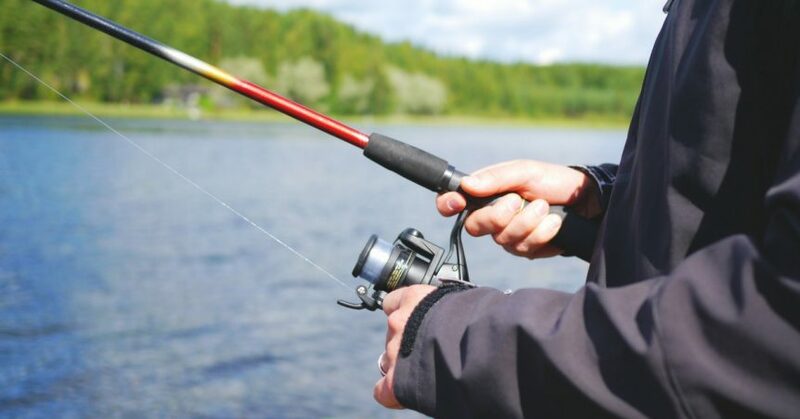 Some bass anglers disdainfully refer to finesse fishing as fishing with a “sissy stick,” because finesse fishing frequently requires lighter tackle than the power fishing tactics they use. However, there is nothing sissy about the loads of bass you can catch relying on finesse fishing techniques. 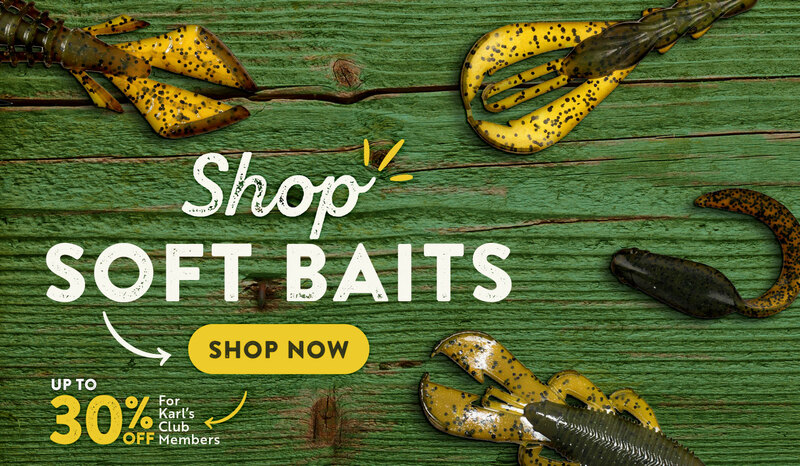 Fishing power tactics with fast-moving or big, bulky lures, thick line and heavy-action baitcast gear takes plenty of bass throughout the year, but conditions such as cold fronts, fishing pressure and clear water cause bass to shy away from those heavy-handed tactics. That’s when finesse fishing techniques with thinner soft plastics, skinny line and lighter action spinning gear shines. Picking the right tackle is paramount to successfully hooking and landing bass with finesse fishing tactics. You have to make sure to match line size and rod action exactly to keep bass from breaking off during the hookset and fight. I fish mostly 8- to 10-pound test line for all of my finesse tactics at Lake of the Ozarks, but I know several guides and tournament anglers at Table Rock Lake scale down to 6-pound test for finesse fishing in the clear waters there. I have been spooling my reels lately with a main line of 20- to 30-pound braid and about an 8-foot leader of 8- or 10-pound fluorocarbon for finesse fishing. This combination provides increased sensitivity and prevents the line twist and bird’s nests that frequently occur when fluorocarbon is spooled on a spinning reel. My rod choices for finesse fishing range from 6- to 6-foot, 9-inch spinning rods in medium-light to medium action. I prefer spinning reels in the 2500 or 3000 size spools because the line flies off the spool easier and twists less than it does on smaller spools. 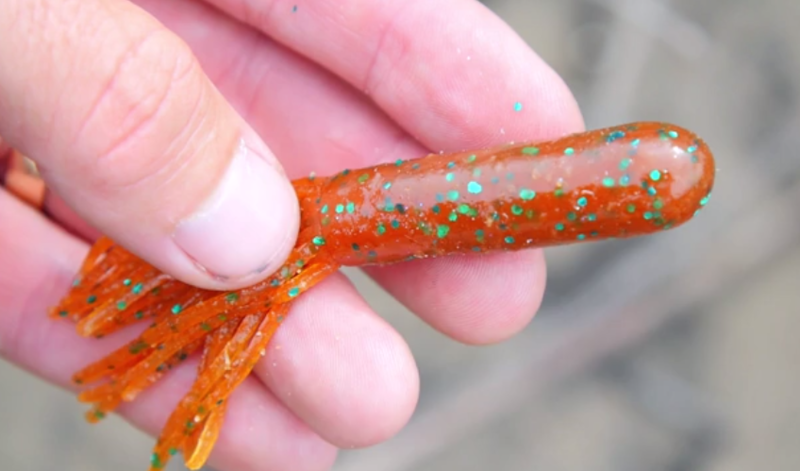 Some of my favorite lures for finesse fishing include 3- or 4-inch tube baits, finesse worms like the BioSpawn Plasma Tail, stick worms such as the Yamamoto Senko or Yum Dinger and French Fry-style worms. 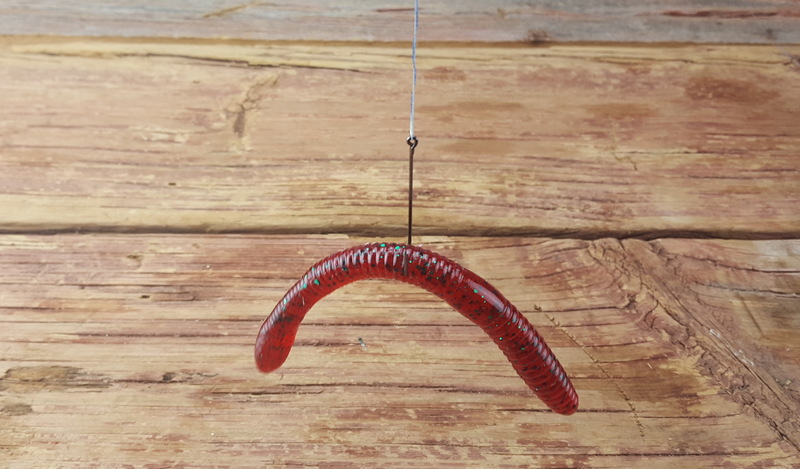 The tubes work best when attached to jigheads and the French Fry worm is great for throwing weightless or on a split-shot rig. I use finesse worms on shaky head jigs or drop shot rigs and throw Senkos and Yum Dingers rigged weightless straight on a 3/0 offset wide gap hook or wacky rigged on a Gamakatsu G Finesse Wacky Head. Here is a look at four finesse tactics I use to catch finicky bass in clear water. I learned this technique from former Bassmaster Classic champion Guido Hibdon on my home waters. It is a great tactic in the springtime when bass are spawning behind docks because I can skip my tube under the dock cable to reach fish nesting around the dock walkways. The lure skipping across the surface mimics a fleeing minnow which triggers strikes when the tube lands near the bedding bass. I opt for a green pumpkin or camouflage tube bait rigged on a 1/16- or 1/32-ounce jighead for skipping tubes under the cables. The light jighead allows the tube to skim across the surface easier whereas a heavier jighead tends to plow and sink too fast for the skipping presentation. Shaky head fishing has become my favorite finesse fishing technique during the spawn and postspawn. When bass are on nests or cruising the shallows after the spawn, I tempt these fish with a 4-inch finesse worm in green pumpkin or watermelon/red flake combined with a 1/16- or 1/8-ounce ball jighead. I pitch the worm past a bed or several feet in front of a cruising bass and let the lure sink to the bottom. 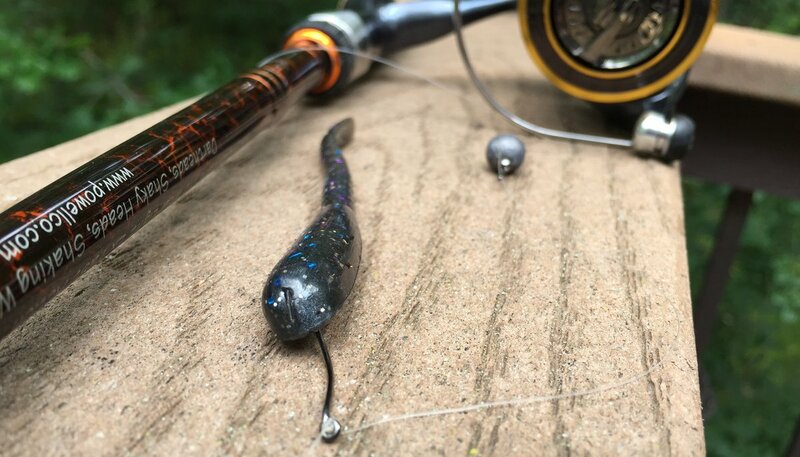 For cruising bass, I let the lure sit until the fish closes in on it and then start shaking my rod with a slack line to impart a subtle action to the worm. For bedding bass, I slowly drag the worm into the bass’ nest and then vigorously shake the bait in front of the fish until it inhales the worm. A drop shot is a great technique for vertical fishing for deep bass, but the only time I have used this rig is for bedding bass. 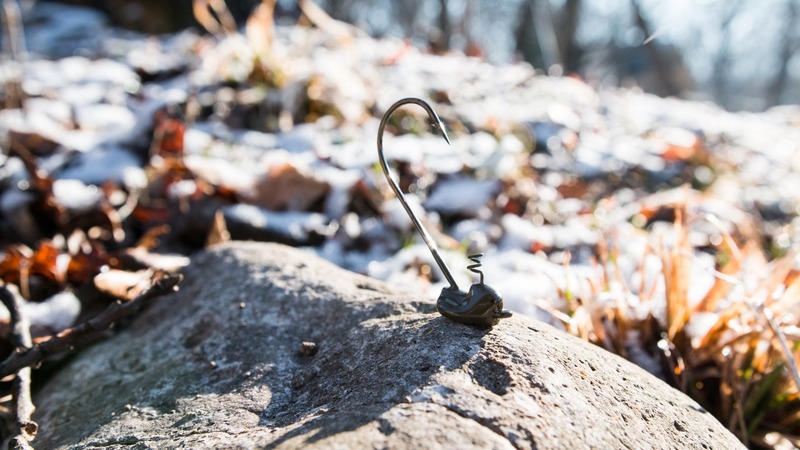 I nose hook a 4-inch finesse worm with a #1 drop shot hook set about 18 inches above a 1/8-ounce bakudan weight. This setup allows me to stir up a bass’ nest with the drop shot weight yet keep the worm off the bottom and shake it right in front of the bass’ nose until the fish strikes. Wacky rigging is another great finesse option for nesting or cruising bass. I use a white or green pumpkin stickworm with a 1/16- or 1/8-ounce Wacky Head and impale the hook slightly before the egg sack on the worm. When I twitch my rod the ends of the wacky-rigged worm flex back and forth to create an action irresistible to bass.